With the GP21 plug connector and the GS21 socket-outlet, Schurter provides the first 400 VDC coupler system certified IEC TS 62735-1. This harmonized DC coupler system can provide efficient DC power distribution in data center power distribution strips and UPS. As a consequence, phase compensation or coupling synchronization to different sources are no longer necessary. The GP21 is re-connectable and accommodates a cable cross-section of between 0.75mm²/18 AWG and 1.5 mm²/16 AWG. 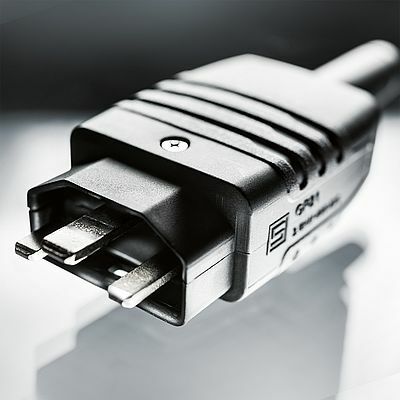 The corresponding socket-outlet GS21 is designed for front panel thicknesses of 1.5 mm or 2.0 mm with Quick Connect 6.3 x 0.8 mm or PCB terminals available for the connection. Moreover, the hot plug is rated for disconnecting under loads up to 2.6 kW. The coupler system suits PDU applications with an operating temperature up to 105°C.